We’ll be adding FAQs as we go. Got a question? Ask it in the comments and we’ll address it. 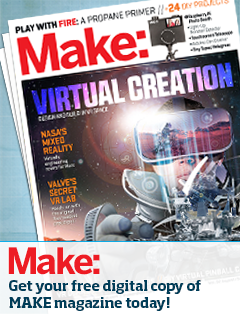 So, what’s a Maker Faire? Saturday, September 10, 2016 from 11AM to 6PM. Where will it be and how can I get there? Is there a belt sander race this year? What’s the info on racing? David, yes, the Triple Crown of Power Tool Racing is on! Are Lexington’s Kre8now makers going to sweep the competition? Could you please let me know how to enter the Bosch tool competion? Thanks for your inquiry about Bosch Power Tool Racing. Due to the lateness of getting the Triple Crown web site up, we will be registering racers on site tomorrow. Just be at the track around 2pm to check in and have your vehicle evaluated (for safety purposes). Then, enjoy the rest of the Maker Faire until your race is scheduled to begin.